This Tuesday’s Podcast Guest: Nadine Curtis from Be Sweet Yarns! Be Sweet was founded on the principle of being kind to others. Nadine Curtis created Be Sweet in 2003 while living in Cape Town, South Africa. As well, Be Sweet gives back by donating a portion of its profits to educational development programs in South Africa. Giveaway!! Today on the show notes, use Nadine’s keyword in your comment, and be entered to win a Keystone hat kit! 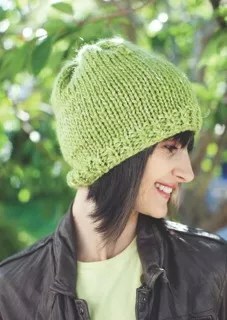 You can find Be Sweet on their website, Ravelry, and Facebook! Tune in Thursday for Marly’s interview with Amy Shelton! This was a great show and now has me so wanting to try the yarns. Pixley is a great name it makes me think of Peter Pan with all the beautilful pixie people. I love the idea that Be Sweet works with job creation programs and gives a portion of its profits to educational developement programs. Wow sounds like a great company to work with. I was wondering with all the yarn they creat is there one called Pixley and what color or texture would it be. Pixley is such a fun and clever name. Loved the podcast, learned lots about Be Sweet and Nadine. I love Be Sweet yarns, especially their bamboo. I’ve used it in quite a few projects. Everyone who has gotten it as a gift always raves about it. You had a great show and I thought the story about her son’s name being Pixley was so cool. The first think I thought of when I heard the word “Pixley” was the old TV show, “Petticoat Junction”! That was the name of the big town outside of Hooterville! Anyway, Be Sweet yarns sounds awesome and I would love to try some! I loved learning about Be Sweet yarns and where they come from and how they were helping give back. I enjoyed the story of how her sons name Pixley came about. 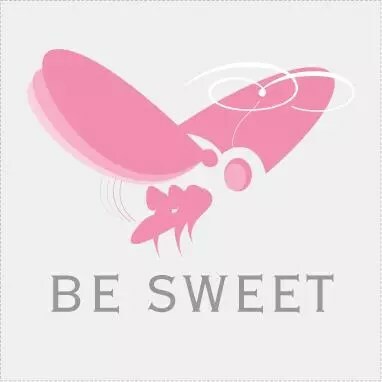 I enjoyed the Be Sweet podcast. Pixley sounds like the perfect name for a beautiful new color! This yarn company has a great story. I’d love to see some pictures of their dyeing process. The history of the Pixley name was fascinating too=). I’m working on Halos of Hope hats and appreciate designers and yarn companies that give back so much to their communities and the world. Pixley is cute name. I need to check out the Be Sweet yarns. Thanks! I recently crocheted bowls out of Be Sweet T-shirt yarn – what a fun concept! I have been coveting Be Sweet Bamboo yarn for a while now… knowing the story behind the yarn makes it even more enticing! So what does Pixley think about all this yarn business? Pixley is such a colorful and happy name. Why not name a brilliant variegated yarn for him? Thoroughly enjoyed your latest guest. It is so much fun to hear everyone’s stories. I love that Be Sweet is a company that helps women. I am heading over to their website now. I also liked hearing about John Pixley. We are surrounded by inspiration if only we know where to look. Thanks Marly for helping share inspiring stories. Another great podcast, Marly! Bees are amazing , Nadine , as I am a beekeeper and understand your interest in them. Can’t wait to check out your website. Maybe Pixley will become a beekeeper someday! It was so interesting to hear about South Africa! Love bee motifs; they are such a great symbol of hard work and feminine power. Also, loved how everything you do seems to have a meaning: bees, Pixley’s name, etc. What a fun and informative hour of conversation, enjoyed very much! I was always curious about “Be Sweet Yarn Co.” and will now make a point of finding some for myself! I have not known anything about South Africa and really learned alot from your stories…..Bravo Nadine for your good works, and I am sure your Pixley is as interesting as is the story of his namesake! Thank you so much for this discussion Marly! I heard about this company a month ago and found the yarn at a local store. I bought a skein because I was so taken with the background story and because the colors are just beautiful. I enjoyed hearing about why you named your company Be Sweet and your son Pixley. I’ve enjoyed the scarf I’m currently knitting and plan to buy more of the Be Sweet line in the future. Thanks for such a “sweet” interview! It was very interesting to hear about South Africa and how they came to name their son “Pixley.” The yarn story was great, and I’m always glad to hear of people who appreciate bees. I haven’t had the pleasure of knitting with Be Sweet, but it does sound sweeeet. They must be cool people, because Pixley is a great name.